Recently, some boardrooms at traditional brand manufacturers have been re-analyzing the math behind their Amazon strategy. Namely, is a traditional brand better off selling through Amazon Seller Central (the platform that supports third-party sellers) or Amazon Vendor Central (the platform that supports 1P sellers)? Some brands are eyeing a shift to Amazon Marketplace, because it allows third-party (3P) sellers to list new or used products at a price determined by that seller alongside Amazon’s regular assortment. We unpack why some brands are feeling the Amazon pinch and take a look at whether Amazon Seller Central holds new opportunities for you. Brand manufacturers may start to notice their co-op fees for Amazon Vendor Central are getting higher. Or perhaps, specific ASINs (products on Amazon) are labeled Can’t Realize a Profit (CRaP) and are thus no longer stocked or re-ordered by Amazon. Let’s look at why this is happening. Conversion rate matters to Amazon. If a 3P seller on Amazon Marketplace lowers their price, and Amazon is listing the same product on your behalf through Amazon Vendor Central, Amazon will drop the price in order to win the sale. But, that lower price could impact how profitable that sale actually was for Amazon. Edgewater Research and other analysts have noted a shift in Amazon’s tolerance for low margin or unprofitable sales recently. Even when working with a high-performing ASIN, Amazon might determine it’s no longer profitable for them to sell the product through Vendor Central for a number of reasons including, a rapid price drop from a third-party seller or the ASP (Average Sale Price) of a SKU is too low. In these cases, brands will be asked to either absorb the lost costs or have orders of those products canceled all together. Amazon’s emphasis on unit-specific profitability may cause a shift in the site's assortment to include more margin-friendly elements such as exclusive products, private label goods, and a larger percentage of merchandise bought at production cost. It’s no wonder, boardrooms are buzzing as to how to regain control over product pricing and profit margins. For many this means reassessing how Amazon fits into your go-to-market strategy. 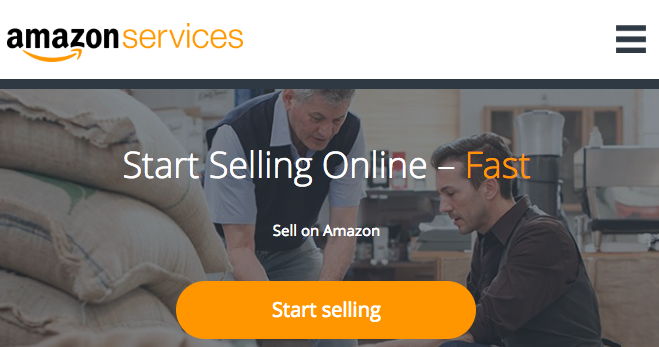 Is Amazon Seller Central a new opportunity for 1P brands? Brands are looking at selling through Amazon Seller Central as a new way to improve their margins and take more control over their full product experience. Making the shift comes with new challenges such as building out direct-to-consumer fulfillment capabilities that still qualify for Prime. For those brands that already have a strong direct-to-consumer presence or those that having been looking to more direct channels, this is an incredible opportunity to make that shift and still leverage Amazon’s value as consumers’ primary shopping destination. At Salsify, we’re committed to empowering brands to get to market quickly across the broadest ecosystem available. One example of those ongoing efforts is the announcement today that Amazon selected Salsify to join its newly-formed Amazon Marketplace Developer Council. Success on the digital shelf means building and delivering a winning product experience across every touchpoint. This requires an ongoing effort that must adapt to new demands from your consumers, new requirements from technology partners, and changing dynamics on the channels you sell through.